Kylie Kwong is in charge and we're in for a feast. For chef icon and restaurateur Kylie Kwong, Chinese New Year in Australia can be wrapped up into one dish: stir-fried native blue swimmer crab. "Every Chinese New Year, my family has a huge gathering. There's about 70 of us and everyone brings a dish. I do (this dish) with black bean, native Australian herbs and my Billy Kwong house chill sauce," Kwong told The Huffington Post Australia. Kwong's crab is festive and generous, tinged with a bright red hue to symbolise prosperity and good luck. Kylie Kwong doing what Kylie Kwong does best. "I love this dish, not only because it's delicious, but really because it is a direct reflection of who I am -- a third generation Australian and a 29th generation Kwong. So even though my family adhere to some of the traditional Chinese New Year rituals, we have also created some new ones." 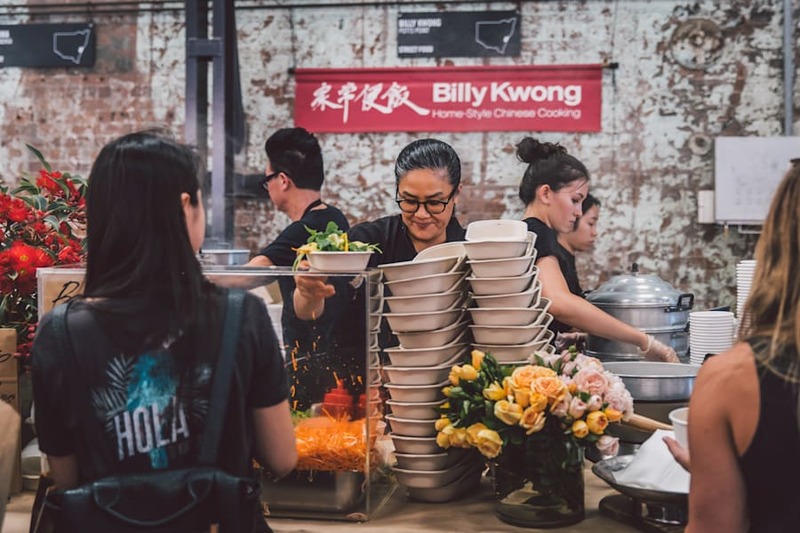 Kwong, who runs Chinese eating house 'Billy Kwong' in Potts Point, is the curator behind 'The Night Market' that is taking over Carriageworks on Saturday evening. Following the launch of the city's Chinese New Year Festival on Friday night, the one-off market will feature dishes from more than 50 local providers -- from the Vietnamese fare of Moon Park to Lankan Filling Station's Sri Lankan street food. "I asked these amazing foodies to think of a dish that reflects their own unique style, with an Asian twist," Kwong said. 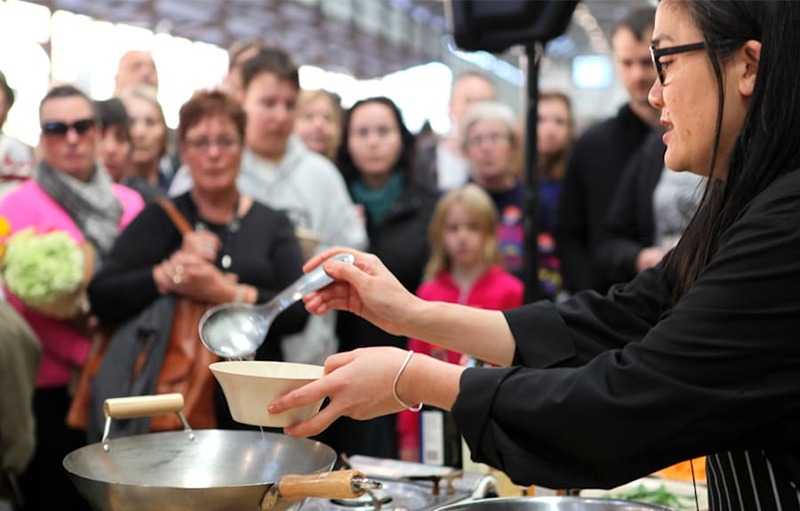 "These stalls are key to my 'Australian-Chinese' New Year message, which is all about celebration, collaboration, sustainability and community." 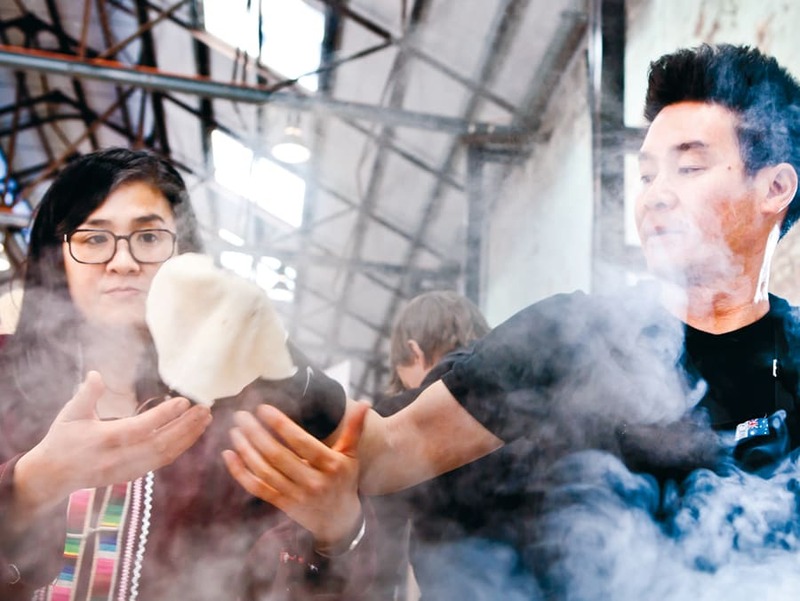 The guys from Billy Kwong will be rustling up their pork dumplings with ginger and tamari, alongside some steamed savoury pancakes with organic eggs, salt bush and asian herb (what a fusion). And in true Chinese culinary tradition, Edible Bug Shop will be supplying roasted edible insects for you to crunch on whilst Rage and FBi radio hot DJ Tyson Koh mixes some beats. All the people say 'mmmm. No plans tonight? Get there STAT. 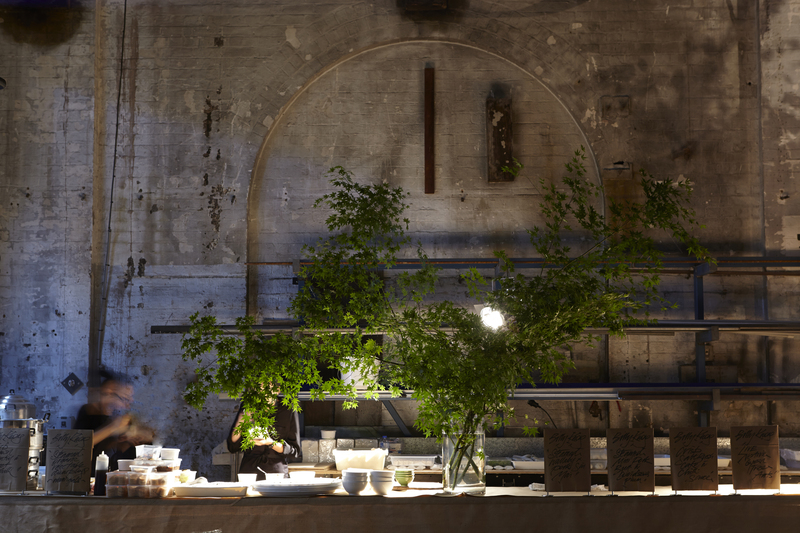 The Chinese New Year Night Market in on at Carriageworks on Saturday, January 28, 5-10pm. Second release tickets are still on sale for entry into the Market after 7pm. Be quick!